Customisation is a big feature in Red Dead Redemption 2 and your appearance can drastically impact how people will interact with you. Sure, you could cut about with long hair, dirty clothes and an unkempt beard like the cowboy hobo of your fantasies, but wouldn’t you rather wear a ram’s skull, a Viking helmet or a hat made from a bears head? You can buy a range of outfits that are suitable for different temperatures in Red Dead Redemption 2, though some outfits are reinforced and will give you significant bonuses. To craft the very best of gear, you’ll want to head to the Trapper and it would be a good idea to start some of the challenges. Other items have their own specific quests, so here’s our guide to the gear that’s out there. To craft the best gear, you’ll need some high-quality pelts. The better the quality of animal pelt, the better your gear will be. To find some Legendary critters, check out our animal hunting guide as well as our guide on where to find animals with a perfect pelt. One of the outfits, The Bear Hunter, comes complete with a bear head hat. You can also add Boar Riding Gloves into the mix if you want to really pull off the man-bear-pig aesthetic. 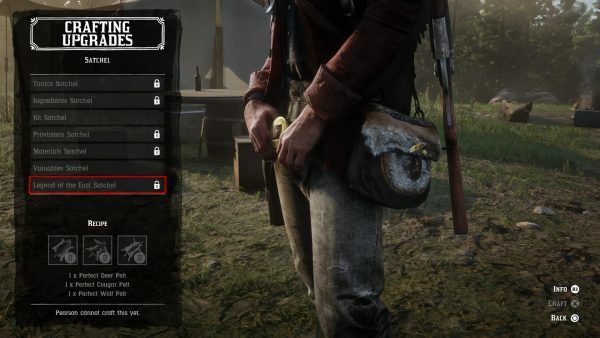 The majority of these pelt-made items are cosmetic only, offering no real perks for Arthur other than having more kills under his belt than Gaston. My personal favourite is The Death Roll alligator outfit which has a good mix of Clint Eastwood vs Crocodile Dundee. 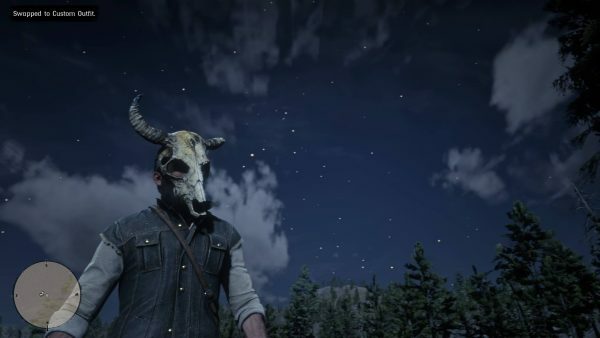 There’s also a Pagan ram skull mask to be found in Blackwater which is just as cool as it sounds. 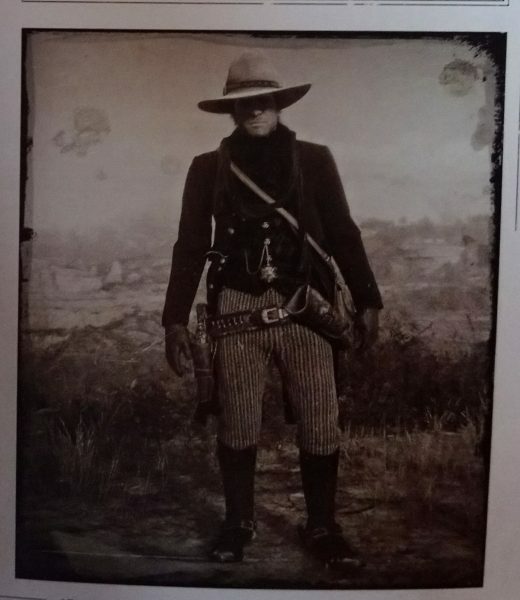 Reinforced equipment is gear that Arthur can wear to carry more weapons and ammo. It includes bandoliers, gun belts, holsters, and an additional off-hand holster for wielding two small arms at once. You can access these items either by purchasing them at the Gunsmith or General Store or unlocking rewards from the Trapper through competing Challenges. Reinforced Bandoliers increase ammo capacity for repeaters, rifles, and shotguns. Reinforced Gun Belts increase ammo capacity for revolvers and pistols. Reinforced Holsters reduce the maintenance requirements for weapons. Reinforced Off-Hand Holsters reduce maintenance requirements secondary weapons. Gunsmiths in each town can sell you basic reinforced equipment to upgrade your weapon attributes if you don’t fancy doing any challenges. Only the Trapper sells equipment with added bonus effects, but you’ll need to complete various challenges to unlock the gear. Here’s where you can find the Trapper on the map. We’ve detailed what the challenges involve in our guide here, just remember to go back to the Trapper to get your reward. There are nine categories with 10 challenges in each one. In order to receive reinforced gear from the Trapper, you must complete the first, third, seventh and tenth challenges in each category. Having a full set of gear will unlock additional bonuses to your stats, such as increased health, more ammo capacity or a reduced weapon degradation rate. Attributes can also be improved by completing challenges. Once you’ve collected a complete set of gear, you get a permanent bonus tank to your main attribute bars. Complete all the sets and you’ll get a second bonus tank linked to that attribute. If you decide to go full hog and complete all of the challenges in Red Dead Redemption 2, you’ll be rewarded with the best outfit in the game: The Legend of the East. It comes with a bunch of attribute upgrades and bonuses, so it’s well worth your time and will be pretty useful if you acquire it early on in the game. If being a cowboy just isn’t cutting it for you, there’s a pirate sword and tricorn hat you can go on a quest to find that leaves you looking like the down-and-out version of Commodore Norrington from the Pirates of the Caribbean films. There’s also a mining helmet and a bone knife to be found which makes trawling through the darkest parts of the map a little easier. A Morion helmet can also be found in Red Dead Redemption 2 if you fancy looking like a member of the Spanish crusades. There’s a Viking helmet, hatchet and comb hidden away in the Old Tomb near Annesburg if you want to pretend you’re playing Skyrim for a few minutes. Want to find the best weapons, a better horse or some more gold bars up upgrade your camp with? 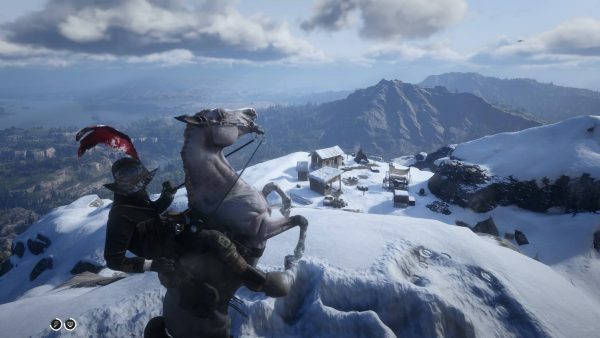 Then check out our Red Dead Redemption 2 guide for more tips, tricks and walkthroughs. The post Red Dead Redemption 2: best gear and outfits appeared first on VG247.